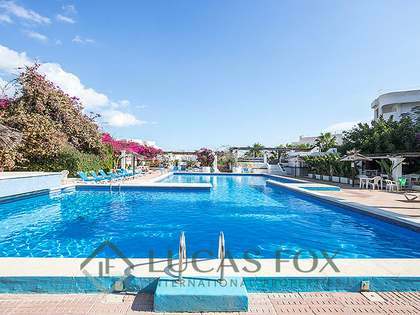 Lucas Fox offers a range of luxury properties for sale in Santa Eulalia and the surrounding areas, from penthouse apartments with breathtaking sea views to larger villas set in their own plots of land. Santa Eulalia is a municipality on the south east coast of Ibiza. The town of Santa Eulalia itself is the third largest resort on the island and home to Ibiza's only river. Its charming old town is built on a hill (Puig de Missa) and boasts a beautiful 16th Century church. 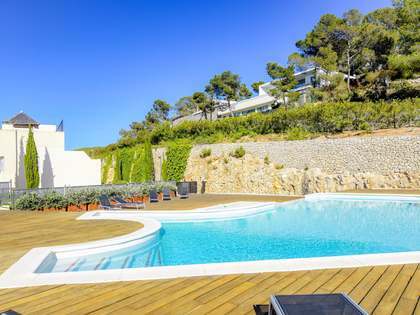 Just 15km from Ibiza Town and 20km from the airport, Santa Eulalia is well connected to the rest of the island. 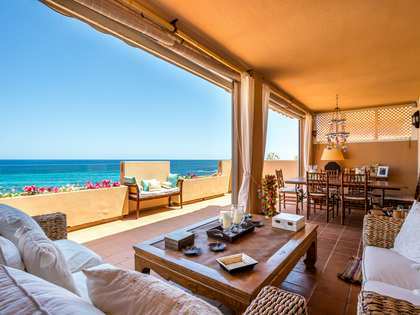 It has long proved a popular destination for families, many of whom have holiday homes in the region. The palm-lined promenade, which runs the length of the beach, is ideal for children. The nearby resorts of Es Canar to the north and Cala Llonga to the south are also popular with families. 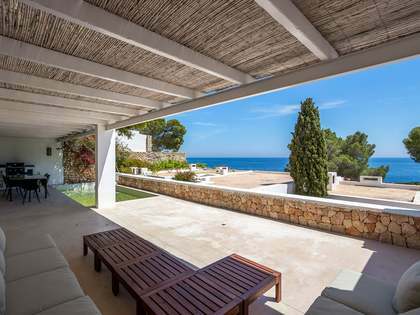 The town boasts some reputed art galleries, an exclusive new marina, designer shopping, two beautiful beaches and some of the island's leading restaurants, ensuring its reputation as Ibiza's gastronomic and cultural centre. 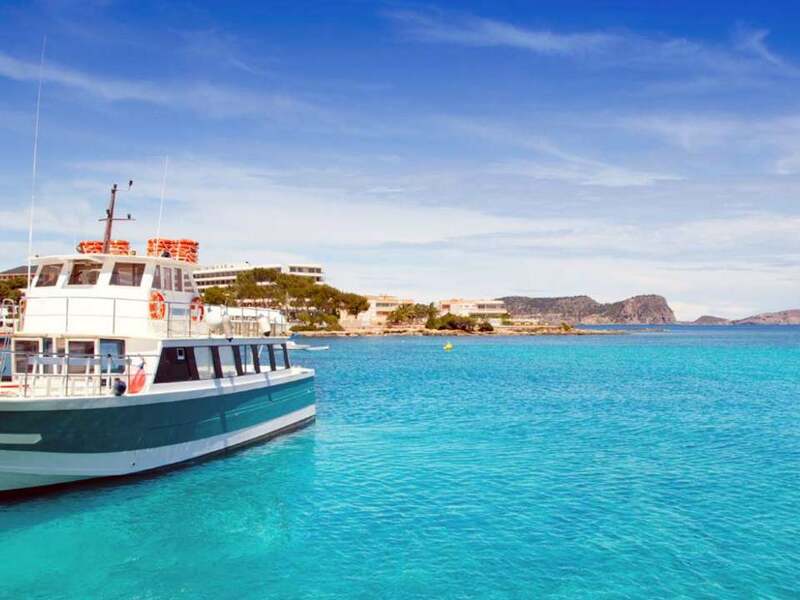 The nightlife is more low key than in the likes of Ibiza Town or San Antonio but the new marina is popular for leisurely dining and you will also find several bars here where you can often enjoy live music. The town has a renowned hippy market, a hangover from the 70s when the hippy scene was in its heyday in the region. Nowadays, it is also a celebrity hotspot, thanks to a paparazzi-free environment where it seems the locals don't gossip. 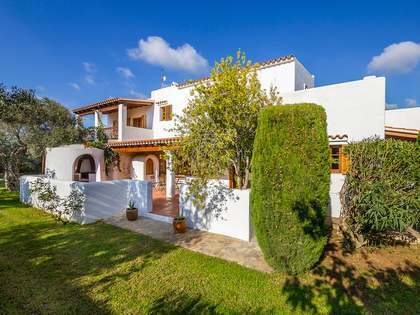 The cosmopolitan, relaxed ambience makes Santa Eulalia ideal for year-round living, as are other towns in the municipality such as Jesús, San Carlos and Santa Gertrudis.